San Roque is one of the seven towns that form the Spanish region of the Campo de Gibraltar, where unemployment is endemic. In some cases, about 40 percent of the locals are jobless. There are many who find a solution a few kilometers away in Girbraltar, thanks to the one of the biggest employers in the Andalusia region, where the British flag flies. Jesus Moya is a so-called frontier worker who is greatful for his job in Gibraltar. Brexit could affect about 12,000 workers who cross the border into Gibraltar daily. Over 50 percent of them are Spaniards. Gibraltar has one of the lowest unemployment rates in the world, second to Qatar. During times of increased tension between the two territories, the queues often drag on for hours. 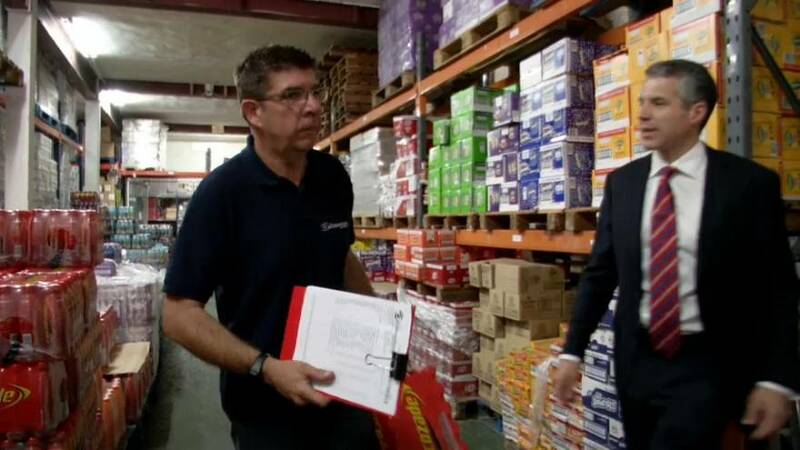 “That’s going to be one potential problem,” pointed out Gibraltar employer Christopher Wall. At least one-fifth of Gibraltar’s workers are Spaniards. Brexit has brought uncertainty which is likely to last throughout the two years of negotiations. Whatever comes next could also be affected by the current political situation. The consequences of Brexit have already begun to show in the region. Andalusian shopkeepers complain of a drop in sales due to the devalued pound.